Próxima Parada opens their new album, Big Seven, with “Tossin’ My Troubles,” a song whose lyrics were written by keyboardist, guitarist, and vocalist Nick Larson’s mom, Linda O’Connelly, with a melody they worked on together. BLUE-EYED SOUL : California folk-soul act Próxima Parada releases their new album, Big Seven, in the Fremont Theater on Feb. 24. “Tossin’ my troubles in the water/ ’Til every single one is gone/ And as they float downstream away from me/ I’m gonna sit back and watch ’em roll on,” the chorus goes. It’s kick-back feel-good sentiment found throughout the new record, the band’s third offering, which they’ll release to the public this Friday, Feb. 24, during an album release show at the Fremont Theater (7 p.m.; all ages; $15 presale at Boo Boo Records and ticketfly.com or $20 at the door). Billed as SLO Gathering, the show will also feature performances by The Monroe, Melondance, and Arthur Watership, with special guests Hilary Langdon (of The Tipsy Gypsies), Damon Castillo, Dan Curcio (of Moonshiner Collective), Jordan Adams (of Brass Mash), Hakeem Sanusi (of That’s The Key), Tyler Garnett, Sam Franklin (of Captain Nasty/Wordsauce), and more! SOUL GROOVE : The Monroe (pictured) brings their original alt-soul sounds to Fremont Theater on Feb. 24, opening for Próxima Parada. It’s going to be a great night for local music and a special evening for Próxima Parada. Formed by some college friends in 2012, the quartet has grown into one of the area’s most talented bands. They’ve won awards, enjoyed radio play on local radio stations, and played big music festivals—things they never imagined when they first got together. 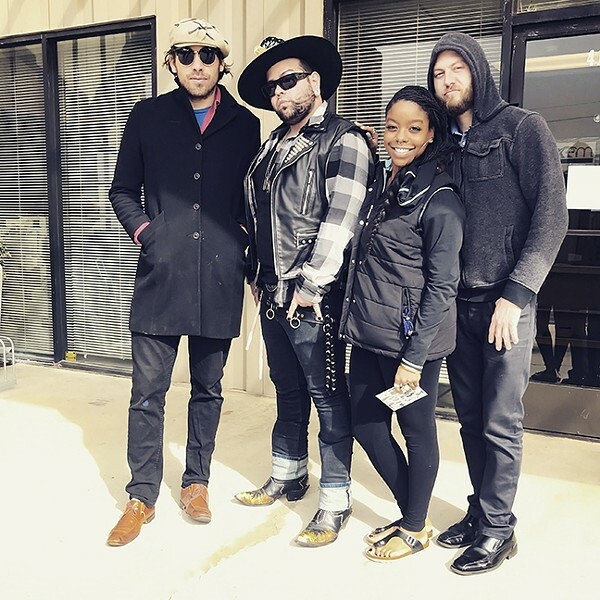 In addition to frontman Nick Larson, the group includes Kevin Middlekauff (bass), Josh Collins (guitar), and Aaron Kroeger (drums), but on Big Seven, they also get help from trumpet player Myles Whitman and background vocalist Vince Cimo. It’s a really listenable album of blue-eyed soul with positive lyrics and a great interplay between Larson’s keys, Whitman’s horn, Collins’ guitar work, and the steady rhythms of Middlekauff and Kroeger. 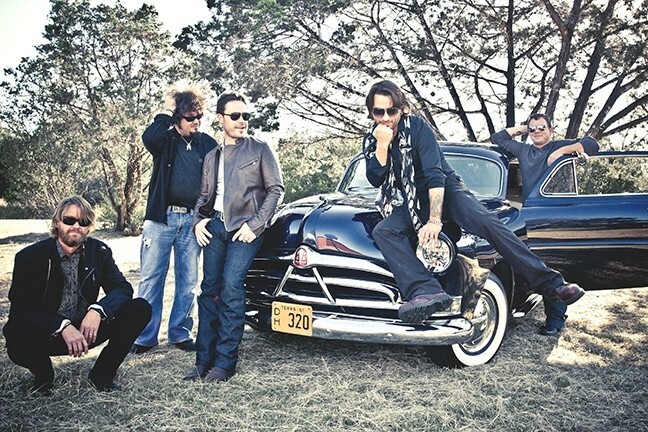 DINNER AND A SHOW: Red Dirt act Cody Canada and the Departed play Feb. 25, at Treana Tasting Cellars, which includes a catered dinner by Chef Jeff Wiesinger of Jeffrey’s Catering. SLO Gathering is brought to you by Numbskull and Good Medicine Presents, which also hosts rock acts The Frights, The Garden, The Regrettes, and Pancho & The Wizard at the Fremont on Thursday, Feb. 23 (7 p.m.; all ages; $15 presale at ticketfly.com or $16 at the door). On Saturday, Feb. 25, Good Medicine heads to Paso Robles for a special dinner show with Red Dirt and Southern rock act Cody Canada & The Departed at Treana Tasting Cellars (6:30 p.m.; 18-and-older; $60 presale at ticketfly.com or $65 at the door). In addition to a couple of sets of awesome music, enjoy a catered dinner by Chef Jeff Wiesinger of Jeffrey’s Catering, who’ll present his very own “Paso Wine Country BBQ” under majestic valley oaks nestled among the Hope Family vineyards. Johnny Cash’s 1997 album American II: Unchained won the Country Album of the Year at the Grammy Awards … and Jude Johnstone wrote the title track. On Trisha Yearwood’s debut album, the song “The Woman Before Me” shot to No. 1 … and Johnstone wrote that song, too. In fact, Laura Branigan, Emmylou Harris, Bonnie Raitt, Bette Midler, Stevie Nicks, and other famed performers have covered Johnstone’s songs. She’s one amazing songwriter, and she’s just released her seventh album, A Woman’s Work. THE SONGWRITER: Famed Nashville singer-songwriter Jude Johnstone, formerly of Cambria, plays Tooth & Nail Winery on Feb. 24. I can totally hear Newman’s voice singing it. It’s an amazingly soulful song, maybe the best song on this collection of one amazing song after another. Perhaps after Johnstone opens four California shows for Bonnie Raitt this month, she’ll inspire Raitt to cover this song. 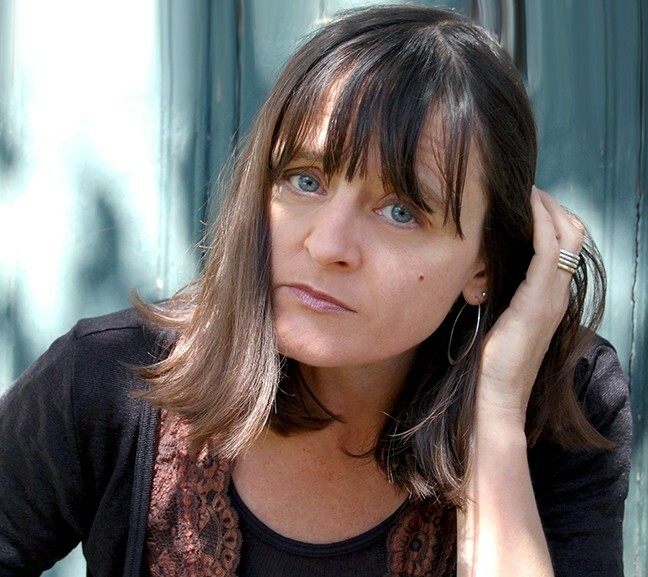 For years, Johnstone lived in Cambria, but she realized she needed to be closer to Nashville to sell her music, so she moved there a couple of years ago, but since she’s back on the West Coast on tour with Raitt, she’s decided to do a local show at Templeton’s Tooth & Nail Winery this Friday, Feb. 24 (6 p.m.; $20 tickets; reservations at 369-6100). Johnstone’s daughter Ray Duncan will open the show, and cello and electric mandocello player Bob Liepman will join Johnstone in what promises to be an intimate concert. 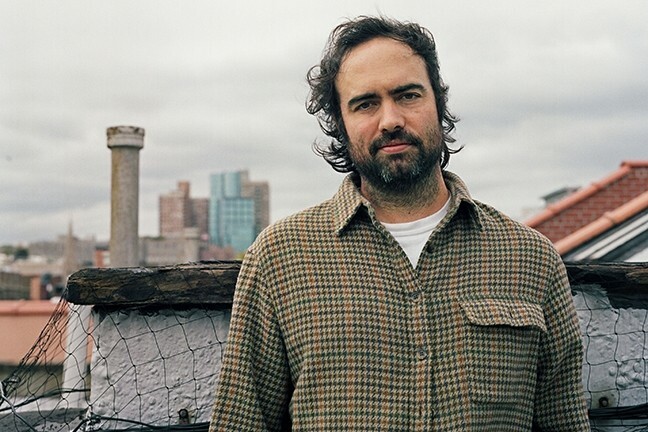 NYC ROCK: Indie rocker Hideout—aka Manhattan-based songwriter Gabriel Rodriguez, a longtime member of indie-pop band, Cults—plays SLO Brew on Feb. 23. 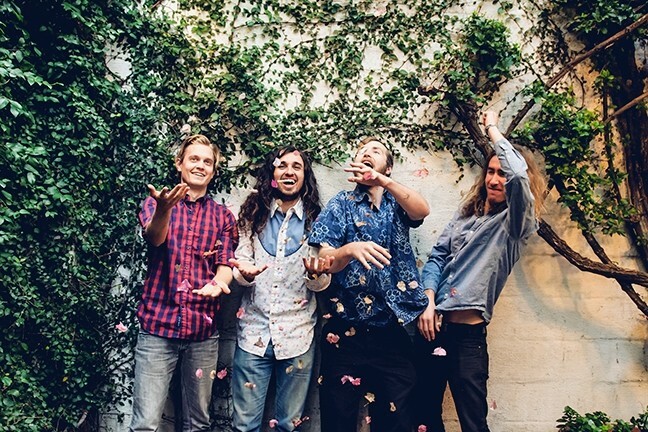 Indie rock acts The Palms and Hideout play SLO Brew on Thursday, Feb. 23 (10:30 p.m.; 18-and-older; $5). Johnny Zambetti and Ben Rothbard are The Palms, a side project from their band Terraplane Sun, in which they combine their love of pop music to create what they call “the perfect soundtrack to a summer night in Los Angeles.” Hideout is Manhattan-based songwriter Gabriel Rodriguez, a longtime member of indie-pop band, Cults. Should be a cool night of hipster music. Festival Mozaic’s WinterMezzo II begins on Friday, Feb. 24, in Mission Parish Hall (6 p.m.; all ages; tickets at festivalmozaic.com), in what’s being billed as a “Notable Encounter Insight”: “What was Brahms thinking when he wrote his cello sonata? Why did Frank Bridge write a piano quartet? Music Director and violinist Scott Yoo leads this Notable Encounter, which will take you behind the scenes of the music and provide musical insights and teach you how to listen to this music,” according to Festival Mozaic. The fun continues on Sunday, Feb. 26, at Congregation Beth David (3 p.m.; all ages), with the Faure, Brahms & Bridge Concert. NEO-TRAD: The neo-traditional kinetic folk of the Evie Ladin Band returns to the Central Coast when they play The Tent at the Templeton Tennis Ranch on Feb. 25. 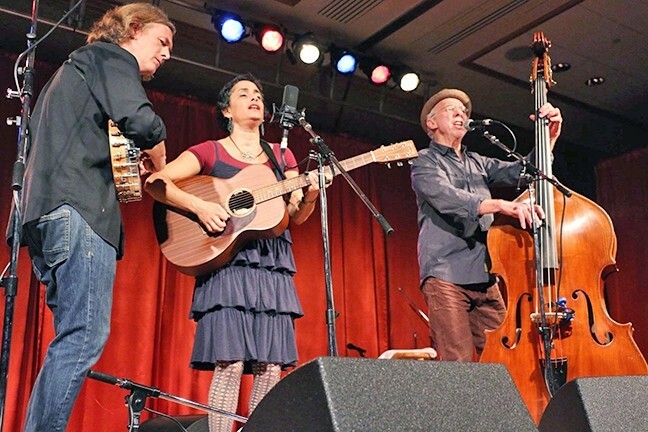 The neo-traditional kinetic folk of the Evie Ladin Band returns to the Central Coast when they play The Tent at the Templeton Tennis Ranch this Saturday, Feb. 25 (8 p.m.; $25 presale tickets at Boo Boo Records or brownpapertickets.com; or $30 at the door). Ladin and bandmates Keith Terry and Erik Pearson will deliver music “grounded in Appalachian old-time repertoire, seasoned in African-diaspora roots, writing from life in modern cities, blurring the lines between music and dance,” according to the band. Proceeds will be donated to Infinite Music Foundation, which supports music programs for kids. TRUTH! 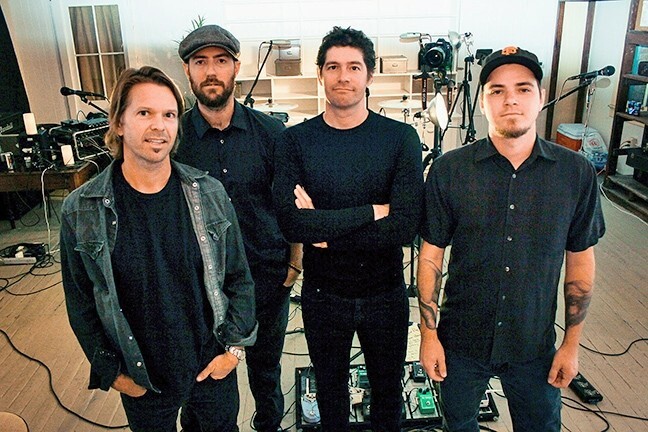 : Local rock act Truth About Seafood plays SLO Brew’s Pint Night on Feb. 28. This Monday, Feb. 27, Back Bay Betty will bring their originals, classic covers, and funky blues to La Palapa Restaurant in Baywood (5 to 7 p.m.; all ages; free). This is a great dance band! Local rock act Truth About Seafood plays SLO Brew’s Pint Night on Tuesday, Feb. 28 (10 p.m.; 21-and-older; free). The award-winning rock act will bring the party and leave everything they’ve got on stage. Get ready to rock and drink some pints! HIP-HOP NINJA: Bass hip-hop producer Datsik plays The Graduate on March 1, a stop on his headlining Ninja Nation 2017 Tour. 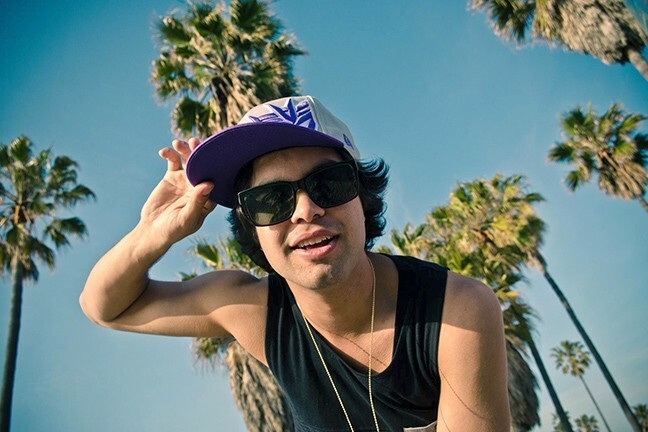 Bass hip-hop producer Datsik plays The Graduate this Wednesday, March 1, a stop on his headlining Ninja Nation 2017 Tour (doors at 9 p.m.; 18-and-older; $35 tickets at ticketfly.com). Touring in support of his new seven track Sensei EP released in December on Firepower Records, he’ll present his new high-tech production called the Shogun Stage. Crizzly and Virtual Riot open the show. This just in: Bill Callahan’s performance at Poetry Church has been rescheduled for Feb. 27 at 8 p.m. at he SLO Guild Hall. Local performers will begin at 6 p.m.